"Helping people to help themselves"
The award winning ARC Healthy Living Centre, Irvinestown aims to improve the well-being of local people by bringing together a partnership of community health activities and services. ARC has been nationally recognised as benefitting people and planet. 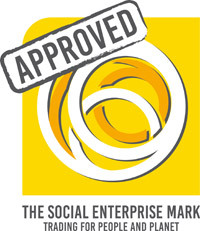 Consistently since 2009 ARC has been successful in satisfying key criteria to be awarded the Social Enterprise Mark, which identifies us a trading centre for social and environmental purposes. ARC provides shared space, basing a range of health and well being services within the Centre. The ARC actively promotes community participation and volunteering – services are run for local people, by local people. For all information about Arc’s range of Activity programs read more. For more information on Arc’s Facilities including the sensory room read more. Need more information about Arc or further support read more. Check below for all our upcoming event dates.